GPS Micro Tracking System by “SonikTechnologies” is one of the best solutions for security measures of your vehicle. 1. Who is SONIK GPS?. 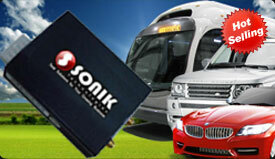 SONIK GPS is unit of Sonik Technologies Pvt. Ltd. Which is one of the largest GPS Fleet Management company and Leading Software company in India. 2. How do the GPS MICRO TRACKER services work? What hardware equipment do we need? It’s simple. In employing a tracking system, users install a tracking device called a Vehicle Tracking Unit (VTU) into their vehicles. This VTU includes a GPS (Global Positioning System) receiver and a GSM/GPRS modem alongwith the requisite GPS antennas. The VTU receives location updates every second from the 24 orbiting GPS satellites. This information is transmitted back to internet servers maintained by Sonik GPS with 99.9% uptime located in USA, allowing you to track and monitor your field workforce and assets online and in real-time. 3. 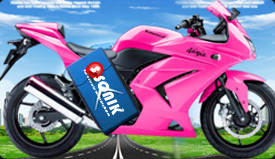 Does SONIK GPS provide real time information across India? 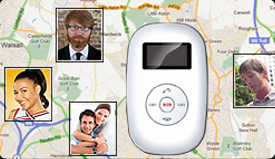 Yes GPS MICRO TRACKER provides real time information anywhere in India where there is a GSM presence. 4. How do the tracking units transmit data? The tracking units transmit data over the GPRS network provided by GSM network operators. 5. Does GPS MICRO TRACKER have different models? 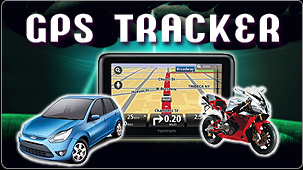 GPS MICRO TRACKER has three different models usefull for Vehicle , Bike and Personal tracking. 6. Do I need any special hardware or software to access the tracking data? No special hardware is needed to access the tracking data. You only need an internet enabled PC, to logon to the SONIK GPS web-site using your unique username and password. 7. What is the warranty on the hardware? We will replace the system free of cost for any manufacturing defect within 1 year. 8. Can I track my fleet or vehicle from anywhere?